Questions about sponsors or being a sponsor. Can I make a tax deductible contribution to River City Comic Expo? As a federally recognized 501(c)(3), donations to River City Comic Expo (RCCE) are tax deductible. RCCE also accepts non monetary donations. If you wish to make a donation to River City Comic Expo, please contact us using the form below. How does one become a sponsor of River City Comic Expo? If you are interested in becoming a sponsor for River City Comic Expo (RCCE), you can contact us by using the form below. As a federally recognized 501(c)(3), sponsorship donations are tax deductible. All of our sponsors receive advertisement on our website and in the show program in addition to a 10 x 10 promotional booth. In the weeks prior to our 2016 show our website received an average of 850 unique hits per day. A one color logo will also appear on the back of our show t-shirts at Title, Presenting, Guest, and Artist sponsorship levels. Title, Presenting, Guest, and Artist sponsors will also be encouraged to hang banners in the Governors Halls for maximum visibility. 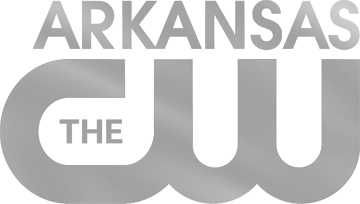 One Title sponsor will receive top billing as River City Comic Expo 2016 Presented by the Arkansas CW and YOUR ORGANIZATION. A banner ad will appear in the header and footer of our website. The inside front cover of the program is reserved for the Title Sponsor ad. Title Sponsors also receive five (5) VIP passes. Presenting Sponsors will have their logo placed immediately under our logo on all published materials and on every page of our website. Presenting Sponsors also receive five (5) VIP passes. Guest Sponsors will have their logo prominently displayed on Special Guest banners and signing. Guest Sponsors also receive four (4) VIP passes. Artist Sponsors will have their logo prominently displayed on Artist Alley banners and signing. Artist Sponsors also receive three (3) VIP passes. Panel Room Sponsors will have their Company logo on the screen outside the door of one panel room and their company name listed as the room sponsor in the program and on panel promotional materials (Fulton Room Sponsored by Business/Organization). Panel Room Sponsors are welcome to hang a banner promoting their business or organization prominently inside of their panel room. Panel Room Sponsors will also have the option of planning and moderating one panel in their sponsored room. There are Five Panel Room Sponsorships Available. Program Sponsors will receive a one quarter page ad in the show program and will be listed as a sponsor on the Sponsors page of the program. Program Sponsors do not receive free booth space, nor will they be featured on t-shirts and other promotional materials.